With teams signing international players to their rosters, the NBA is now going global. Curiously, the NBA roster only has one Asian player (Yuta Watanabe) - two if you count Jeremy Lin. Watanabe is playing for the Memphis Grizzlies as the final 4 betting March madness at mad betting continues. Let's take a look at other Asians who almost made it in the NBA. 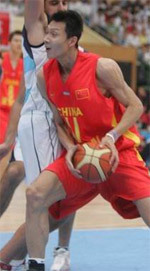 At one time, Ma Jian was the best basketball player in Asia. The 220-pound Chinese swingman could score from incredible distances, and he was hell-bent on making it to the big stage. Ma took his act to the United States, playing for a Division 1 school in the NCAA, the University of Utah. A prototypical 6'7 swingman, Ma Jian eventually got drafted by the LA Clippers in 1995's NBA draft but was cut. That was the closest Ma could get to the NBA. At 5'7, Johnny Abarrientos would hardly strike you as a potential player for the NBA. However, the Philippines player was among the best point guard in Asia at his prime. Simply put, the Flying A knew his way with the ball. In his prime years, Joe Bettencourt (the Charlotte Hornets consultant) made several trips to take a close look at this diminutive playmaker in the Philippines. Plans were already in place to sign Abarrientos for a 10-day contract, but Bettencourt suddenly stopped pursuing him. Hailed for putting India on the global basketball map, Satnam Singh first came into the spotlight as the wide-eyed big man. The Indian was largely unimpressive, but he worked on his game and slowly became one of the best. After six years of hard work on the pitch, Bhamara was drafted 52nd in the 2015 NBA draft by the Dallas Mavericks. Bhamara saw the action in the summer league, though he couldn't make it in the NBA roster. Arsalam Kazemi is 6-8 Iranian forward who played for Rice and then Oregon in the NCAA Division 1 basketball. The small forward ended his college career nearly hitting double points and double rebounds. In the NBA 2013 draft, Kazemi got drafted 54th by Washington Wizards but traded for the Philadelphia 76ers. He played a few games in the Summer league, but like Bhamara, he failed to crack the regular season with the 76ers. Larry Tieu is among the few Vietnamese players to make it big in basketball. 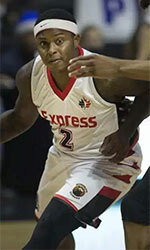 The 6'3 combo guard played in the NCAA Division II and got the interest of the LA Lakers though nothing came from it. With Asians like Hamed Haddadi, Yao Ming and Zhou Qi having cracked the NBA roster, it wouldn't be a surprise to see others follow suit. Watanabe is already knocking on the NBA door, with others like Rui Hachimura expected to be next in line. As such, you can expect to see more Asians in the NBA league soon.